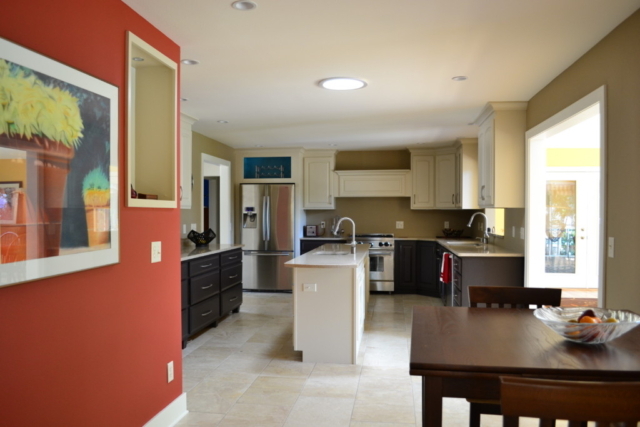 BEFORE: Two openings to a great room split the kitchen into three areas- all inefficient. No before photos exist. 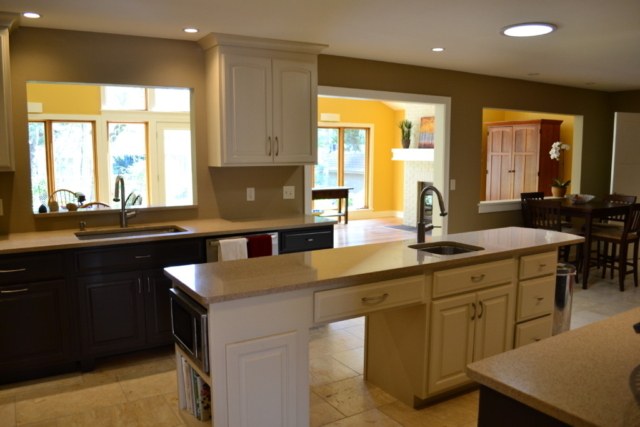 AFTER: The three openings were reduced to one large opening into the great room and one opening over the sink area. 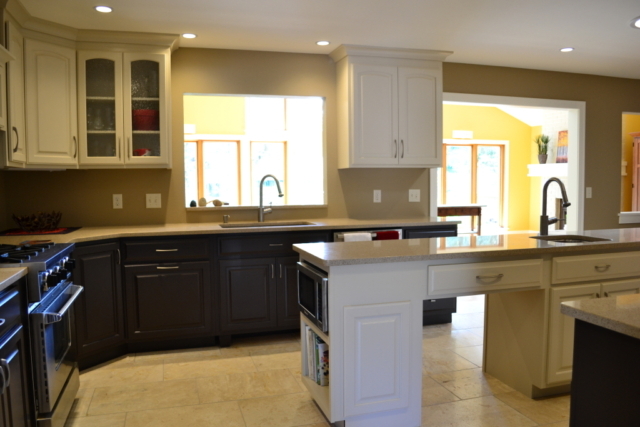 The homeowner bought a like new set of cherry cabinets, which we painted and installed new hardware. The vinyl floor was replaced with an absolutely gorgeous 12 x 24 travertine stone tile. 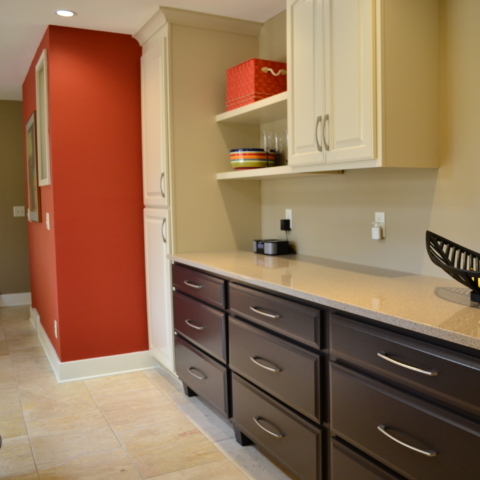 The rich tan and red accents gave this kitchen a lasting appeal. 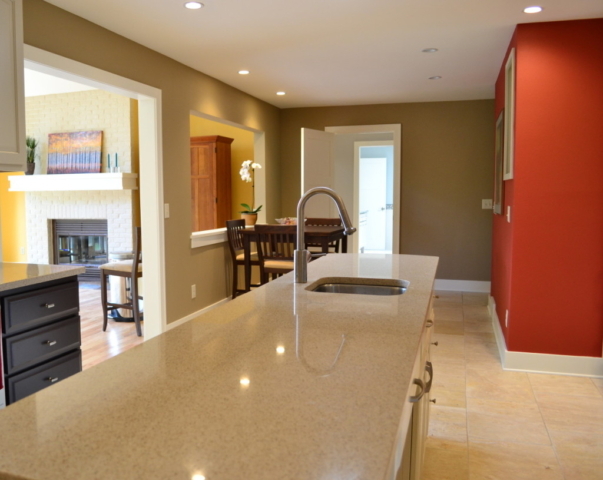 This kitchen was ideal for the large extended family and great cooks. NOTE: The home was sold before the owner installed the back splash.